0% on New Subaru Outbacks! Lease the Spacious New Forester! Hendrick Subaru of Hoover is a local full-service auto dealership located on 2929 John Hawkins Parkway, right on Highway 150. Our 21,500-square-foot building boasts showroom, sales area, and customer lounge all in one, with an on-site service center and parts department. Find us between Applebee's and Home Bridge Financial Services, east of the Galleria Trace Plaza and near the Holiday Inn Birmingham - Hoover. 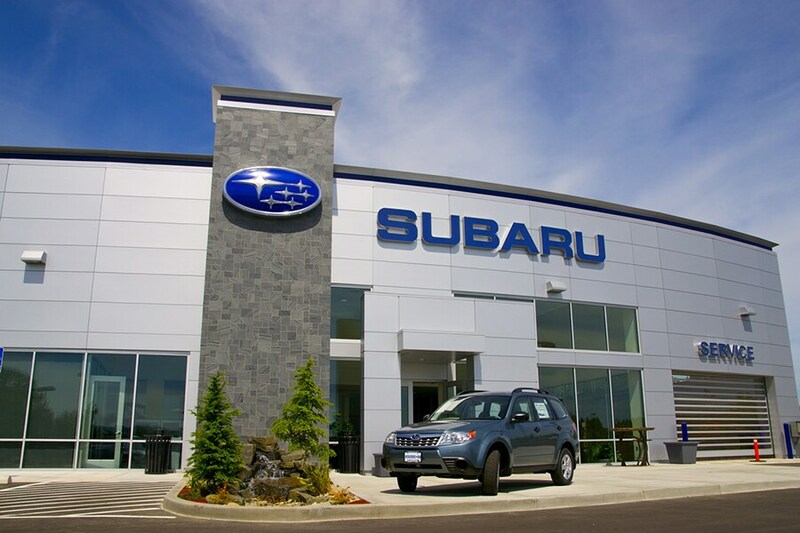 This facility is only the second Subaru dealership in the Birmingham area. But, it's Hendrick Auto Group's third Subaru dealership, and one of three Hendrick dealerships in Hoover--so, you're getting the benefit of working with the full power of one of the auto industry's largest and most knowledgeable teams. We're fortunate to have Bill Kimbrough--who had managed retail operations for Hendrick's Subaru dealership in Franklin, TN--as general manager of the new store. Read on to learn more about what we do, and how we're changing the way that Alabama drivers do business with their local dealerships. The new Hendrick Subaru of Hoover is set in a prime location, and gives shoppers about 200 new vehicles and 100 used vehicles to choose from. Find the perfect new Subaru WRX, Impreza, Ascent, Legacy, Forester, Outback, or Crosstrek for your lifestyle, and you'll automatically get our best price. Or, choose the budget-conscious route and shop a huge variety of great pre-owned cars, trucks, and SUVs. Don't see what you want today? We can help you shop thousands of vehicles available through the Hendrick Automotive network. We're welcoming drivers from all across the area, including Birmingham, Homewood AL and Vestavia Hills, to shop online or come by our dealership on Highway 150 to see our great selection of vehicles. We're proud to be able to offer a full range of financing options right in house at our Hoover Subaru dealership. Whether you want to put a lot down and borrow a little, put a little down and finance a lot, or trade in your vehicle and lease a brand-new model, we can help. We can customize your Subaru car loan or Subaru lease to work with your budget and your needs. You know that Subaru boasts a great reputation for reliability and durability--schedule routine maintenance and car care can help make sure your vehicle lives up to its name. It only takes a few visits a year in Hoover and Birmingham to keep your car, of any make, looking and feeling good. The techs at our service center are well-trained in all things automotive, and we can deliver efficient, affordable car service. And, with a full stock of Genuine Subaru Parts, you can find what you need for travel, lifestyle, or DIY. Visit our greater Birmingham Subaru dealership today and experience the Hendrick difference. **Best Vehicle Brand based on ranking in Consumer Reports 2019.